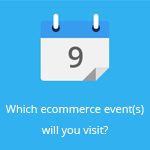 August 18, 2015 by Ecommerce News. About Cross-channel, Offline store, Online store with tags Germany. 3159 views. Karstadt is in dire straits. The online product range will be significantly reduced in size, while many employees have to look for another job. The German department store chain has quit the classical omnichannel concept, although it still bets on the combination of ecommerce and brick-and-mortar stores. “While we won’t pursue the classical omnichannel approach anymore, the physical department stores and the online store will, of course, still have the same sender: Karstadt”, the company’s new ecommerce manager Klaus Haensch told Lebensmittelzeitung. Karstadt wants to make its ecommerce activities more efficient. One way they want to achieve that, is by eliminating product categories that aren’t that profitable. As a result Karstadt will no longer sell toys and fashion. At the beginning of this year Terry Freiherr von Bibra, who worked as the chief retail officer omnichannel, left Karstadt after just two years. Since then, the company has further downsized its omnichannel approach. Less focus on toys and clothing online, while on the other hand its ‘living’ and electronics product categories will be extended. There will also be more emphasis on its healthcare equipment, which can be better described and displayed online than in the physical stores.